3 weeks ago , I began to track it all. 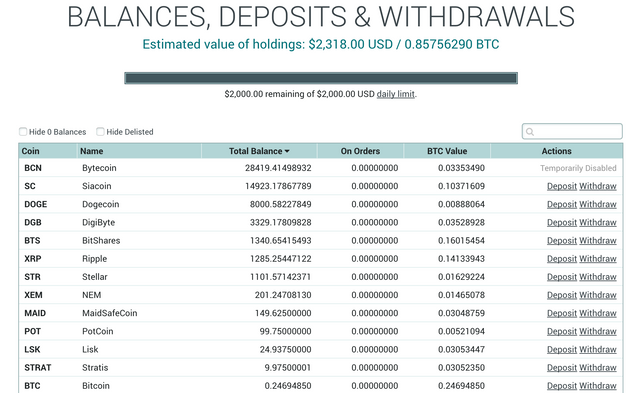 I started with $2390 In CryptoCurrency. Here's the post from last week. Week Two I was down $226. This week my portfolio rebounded $153 dollars. Where do you think it will be next week? Hey can you change your First Name on the Poker League to your Steemit username with the "@" sign included please. Thanks!